LEHR make the world’s first propane gas powered outboard engines. 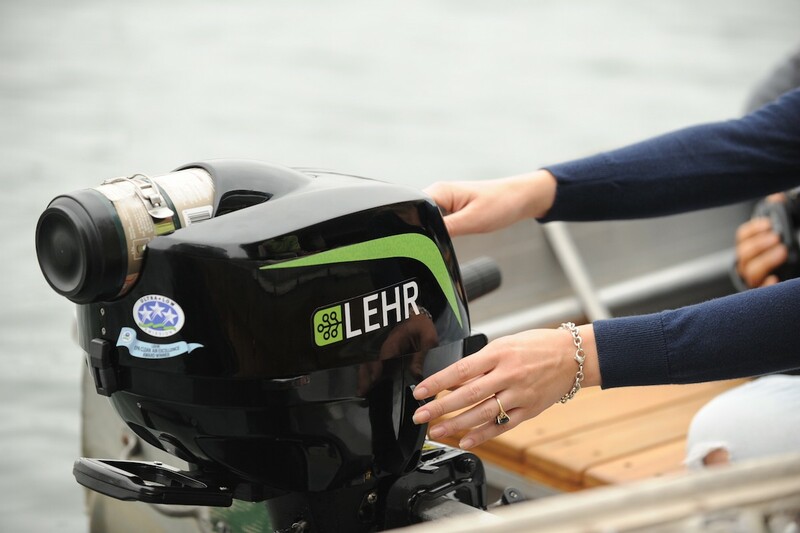 Their main selling points are that they are easier to start than petrol outboards, the fuel is cleaner (no petrol smell in your car or boat), and less polluting to the marine environment. They compete almost like-for-like with four-stroke petrol engines in terms of performance and price. And in our experience the claims seem to be true. 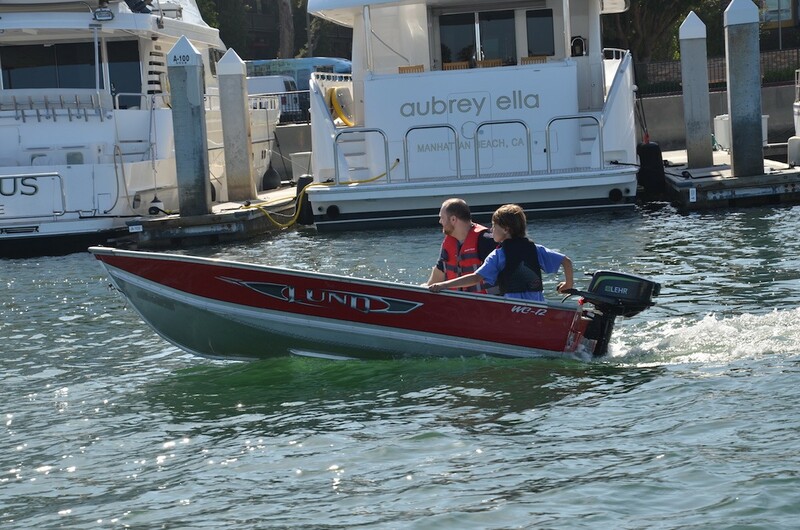 During testing in our tank at Nestaway Boats, the water was noticably cleaner after a few minutes running than it would have been with a petrol motor. And starting was a breeze, with no choke, no priming, and no risk of carburetor gum-up after storage. 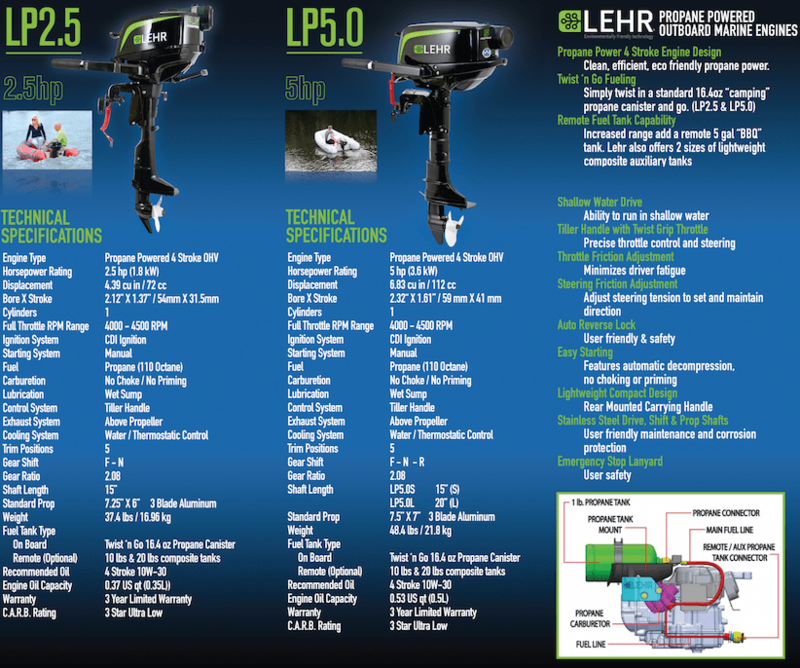 Overall we feel that the Lehrs offer something of a halfway house between electric and petrol motors. They are nicer to use than the petrol motors whilst cheaper and with greater range capability than (properly engineered, genuine propulsion) electric motors made by Torqeedo. 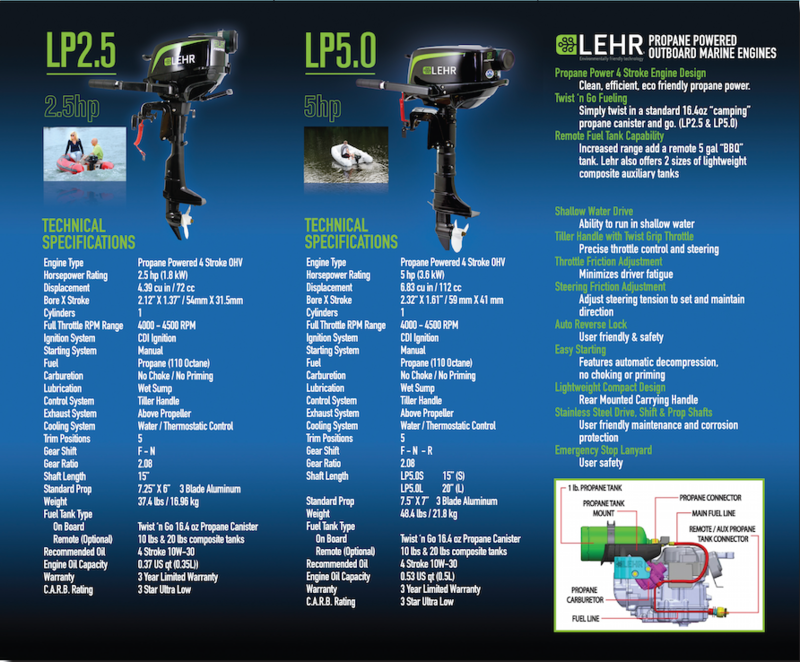 Lehr are the only significant player in the propane gas outboard market. 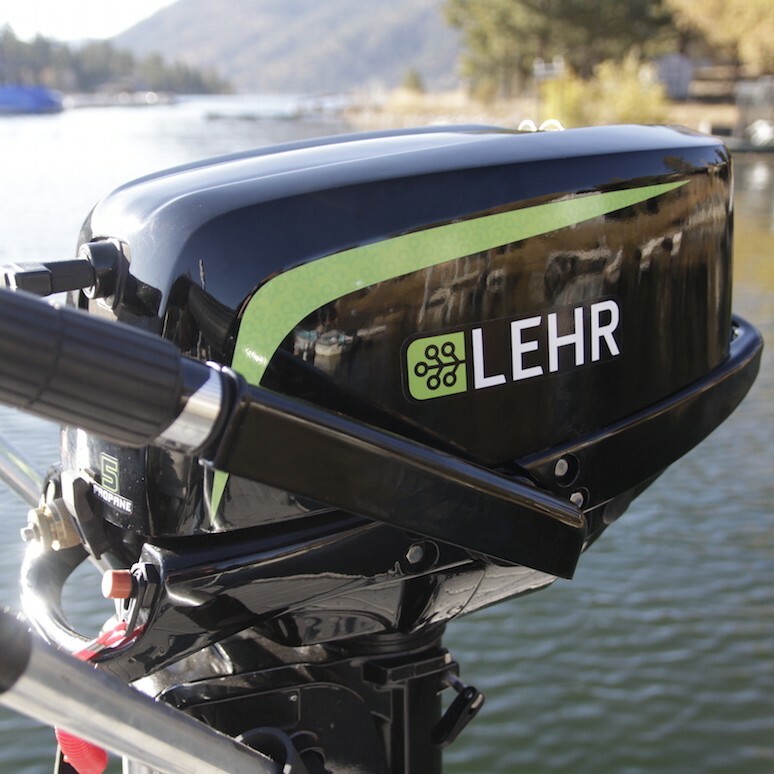 – the favourite, albeit more expensive, option seems to be the 16-oz screw-in cylinders, which fit into a slot in the outboard cover. These are widely available (typically under the Coleman brand) from camping and outdoor shops. One of these cylinders will run the 2.5hp model for an hour flat out, or about 2.5 hrs on half power. – for greater range and lower running costs, they can also be connected to external tanks. All Lehr outboards are supplied as standard with a flexible connector pipe and POL fitting for attachment to standard (usually red-painted steel) Propane cylinders. There are also semi-transparent glassfibre propane tanks – often called “Patio Gas” – which are lighter and don’t rust, but for attachment to these you will require a conversion adapter (usually available from the tank supplier).